Hammered turquoise dangle earrings by Devon Leigh. 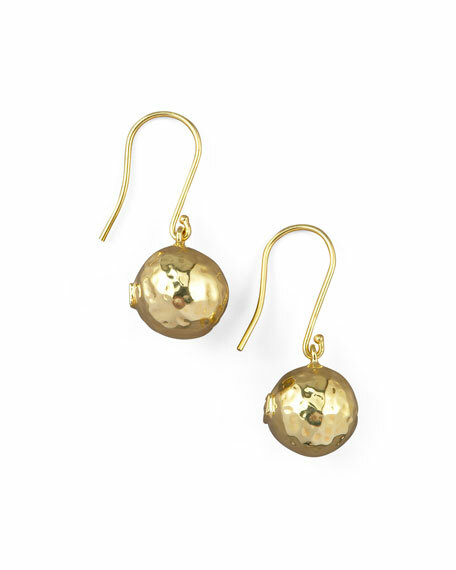 18-karat gold-plated hardware with hammered finish. Round copper-infused turquoise and yellow golden square dangles. 14-karat gold-filled French wire for pierced ears. Made in USA. Please note: As this piece is handmade, exact stones and measurements may vary slightly.